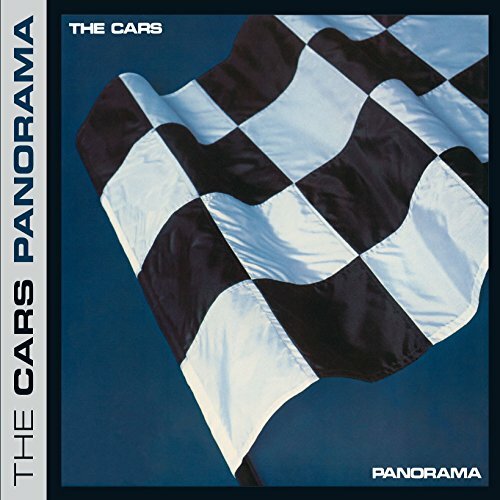 The Cars‘ 1980 album Panorama will be reissued in July as as an expanded edition with previously unreleased bonus tracks. The album comes with four bonus tracks in total, with three songs – Shooting For You, Be My Baby and The Edge all unissued. The fourth and final bonus cut is the B-side Don’t Go To Pieces. This uses the Ric Ocasek supervised remastering from last year. Panorama will be reissued on 28 July 2017. 1979’s Candy-O is being reissued on the same day. You can read all about that one here. David mentioned this when talking about the Cars being inducted into the Rock ‘n Roll Hall of Fame. I’m guessing you all don’t read about the Cars. Great to hear Benjamin Orr as if new albums. Love the Candy O Northern Studios track on the rerelease. Next we need Rhino to release Benjamin’s unreleased second solo album he left behind before his death . I always favored the first two albums myself but like the guitars in this one. All bands at one point experiment and try to push the bar higher and I think that’s what The Cars did with Panorama. Love all the albums but most favorite is Candy O.
I do think the debut should get the 2LP treatment (blue vinyl too) and reissued 2CD as mine is kinda beat up…I also feel “Panorama” is great…not nearly as dark as it was originally viewed, just more subdued and subtle and experimental…and all of the songs are catchy…the lost hits on there are “Misfit Kid” and “Up & Down”…if anything, “Shoo Be Doo” from “Candy-O” is darker than all of “Panorama”!! I liken it to my first 3 Rush albums — Moving Pictures, Signals, Grace Under Pressure. People don’t give Grace the credit it deserves either. Same for my first 3 Kate Bush albums: Hounds of Love, The Sensual World, The Red Shoes. Again, the third gets discounted. The Yes Album, Fragile, Close to the Edge. No one criticizes Edge though. I never thought the album was dark. I don’t know who came up with that. And yes Richard, killer amazing — no fillers. I love the first 3 albums. Of the debut’s bonus tracks, only Wake Me Up is bliss. Love me some Ben Orr. I worry about the new bonus tracks. Am I the only one who feels Panorama is killer amazing? No fillers! 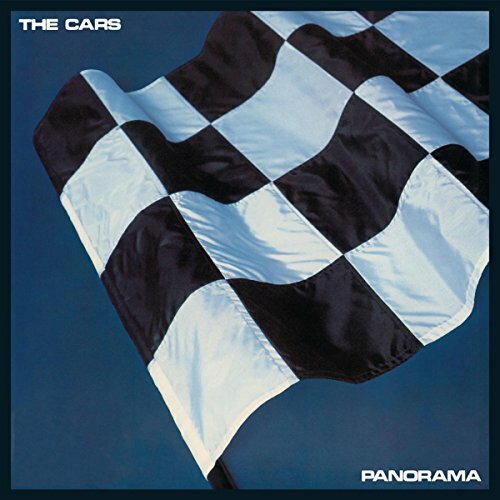 They should have re-released The Cars debut as well. I’m surprised that Panorama gets the 2-LP treatment before the debut. All their albums have SOME great tracks and Heartbeat City is a great album, but in my opinion the first 2 albums are the best. Fully concur, LD. “Strap Me In” on “Door To Door” is one killer riff I never tire of. Same too on Ric’s solo works.”Beatitude” needs a re-release on CD as copies are extremely hard to source.”This Side Of Paradise” would benefit from a Deluxe too,as would t’others. Panorama… when it came out, it was a dud. I couldn’t get into it. Most fans say it’s their worst album. Fast Forward 25+ years and Panorama is the one I probably play the most. It was dangerous, dark, and so experimental for them. “Touch and Go” when I saw them live in Boston with only a handful of dates in 2011 (with Greg on Bass)… just bliss. The complexity of how the timing is in that song really became apparent. “Up and Down” was always a favorite song of mine from this one. I’ve loved this title from the start. I don’t think this band has a worst album; they’re all a blast. Actually, no most fans think “Door to Door” is their worst album. As far as “Panorama” it was a change in stylistic direction more minimalist and it has quite a few fans and is considered by many fans to be one of their most underrated albums. There was a nice Deluxe Edition of the first LP released a few years back. It had demos of all LP tracks except Good Times Roll (which they couldn’t find a demo of at the time). Instead, a live version of the track was put on it instead. It also had four or five non-LP tracks, in demo form. You may still find copies of it out there (on CD only). It’s well worth getting. Nice, detailed liner notes IIRC. This is probably the least familiar Cars’ LP to me, with me having spent several years looking for a copy (it seemed to be out of print for many years in the U.K.). Although nowhere near as good an LP as the first two IMHO, there are still some good tunes on there (Touch And Go, especially, but I really like Down Boys, Panorama and Gimme Some Slack ). I’m very interested in hearing the three new tracks. I wonder if Be My Baby is an proto-version of Maybe Baby, from their follow up LP, Shake It Up. Seems possible, based on the song title / lyrics. Really hope they release expanded versions of the other albums. Would love to hear some other rare tracks and demos. Those first three albums, arguably some of the best album covers ever. Of all the Cars albums to get an expanded edition, I wouldn’t have expected it to be Panorama! I wonder if a Heartbeat City DE can be far behind? There was supposed to be a 25th Anniversary deluxe edition of Heartbeat City back in 2009. I have to believe this SIU and HC will each receive deluxe editions. Better late than never! I love this album now, absolutely understand why so many people don’t. It veered away from what made those first two albums so great. The 2nd album actually started that change by eliminating the big choruses. Then this album furthered that distance by trading the raw guitar energy for synth experimentation. However despite all that, I thought “Running to You” and “Up and Down” were excellent songs upon first listen and remain my faves from the album! Having bought the box set last year, I’m annoyed about these releases. But I was dissapointed by the mix (or mastering) of the CD box anyway – it sounds too loud and compressed. If that hasn’t changed I’m not going to buy these for the bonus content.